Look up in the sky! It’s a bird! It’s a plane! It’s…it’s Felix Baumgartner breaking the skydiving world record from the edge of space. Today in Roswell, NM, the Red Bull Stratos project brought Baumgartner 128,120 ft above the earth in a stratospheric balloon where he made a record-setting freefall before parachuting to safety (you may recall our own Stephen Endersby writing about this earlier in the year). Access to Guinness groupies aside, the first question that comes to mind is why? Space tourism. Essentially the mission was created to gauge human reaction to the environment which, in turn, will build the foundation for space escape systems for tourists and pilots alike. 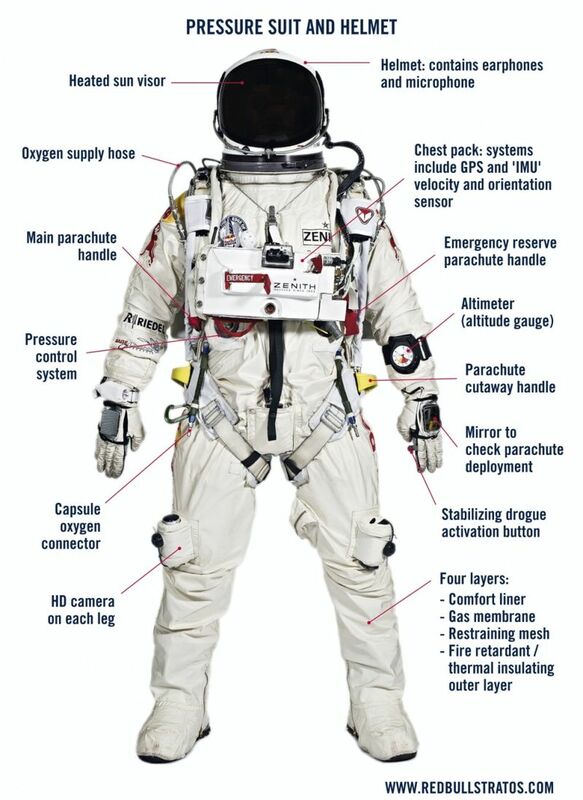 Mission goals include insights to develop the next generation of space suites focused on enhance mobility and visual clarity, explore effects of supersonic acceleration and deceleration on the human body and outline protocols for exposure to high altitude/high acceleration. SolidWorks left its fingerprint on two of Stratos’ crucial aspects: the craft and the helmet. Team member and mechanical engineer Brandon Arroyo let us know that SolidWorks CAD was used to design many of the craft’s mechanical components and assisted in Power Bus designs. The helmet, created by Worcester, MA-based David Clark Co., was built around a full-size SLA, and included injection molding as well as polystyrene high density foam parts. Supersonic speed in freefall: At an estimated 834 miles per hour, Baumgartner is the first person to pass the speed of sound (Mach 1) in freefall without mechanical assistance. Freefall from highest altitude: Baumgartner jumped from 128,120 feet above seal level (previous record: 102,800 feet). 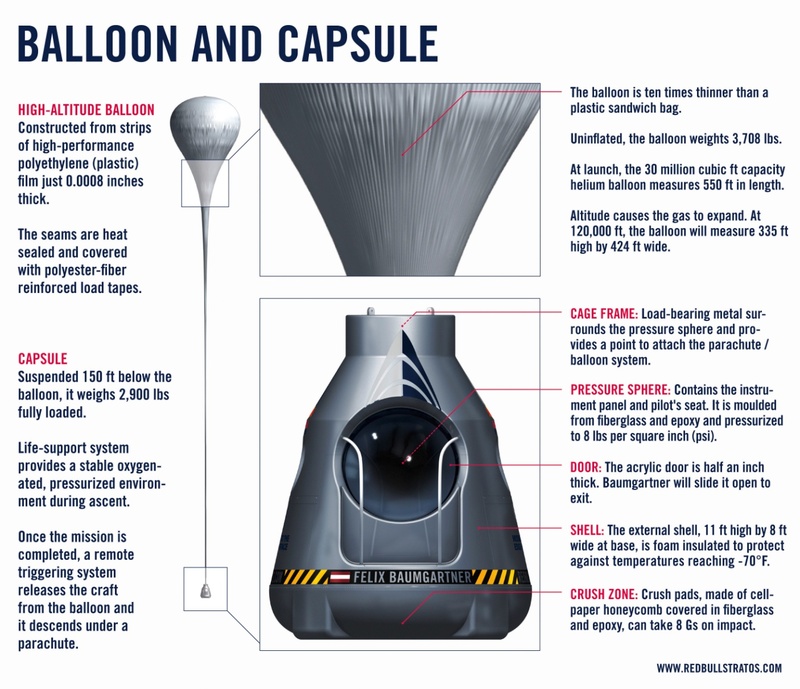 Highest manned balloon flight: The aerospace balloon reached a height of 128,120 feet (previous record: 113,740 feet). This forces the question; how many Red Bulls would you need to make the 128,120 ft, sound barrier-breaking, 834mph plunge? All of them.